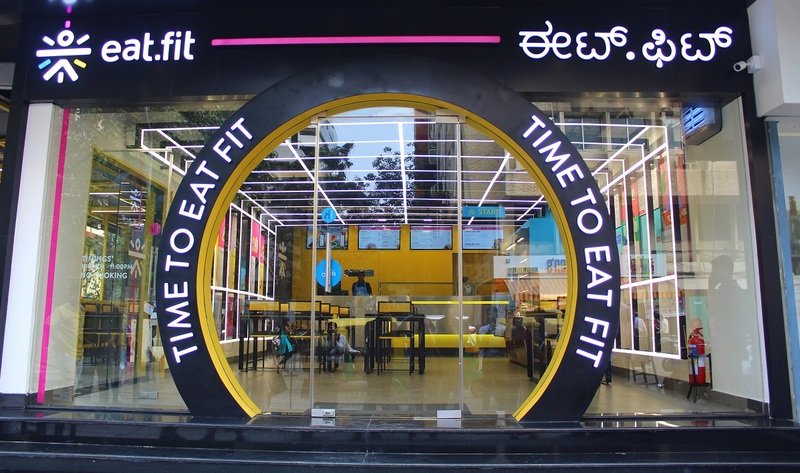 Fans of Eat.fit, health startup Cure.fit’s healthy food delivery vertical are in for a delicious treat – the company just launched its maiden outlet in the city , located in the heart of Bengaluru at Church Street. All dishes, made with in-house masalas are plated fresh at the time of order. Customers can also choose their own ingredients to make a meal they fancy. In line with Eat.fit’s core principles of ‘100% good, 0% bad’, the menu hosts an eclectic blend of cuisines that are free of preservatives, trans fats and other dietary faux pas. Keeping in mind the time constraint of the jet-setting urbanite, the outlet also features an express counter where customers can take their pick from healthy juices, subs and stuffed rotis, on the go. The outlet is Eat.fit’s first entry in the brick and mortar segment. Initially designed as a subscription-based food delivery model, Eat.fit then quickly garnered a growing customer base with popular food ordering apps. Today, more than 50,000 customers every month enjoy fresh, wholesome meals that embody the perfect combination of being power-packed with nutrition and delectably appealing in taste. Commenting on the launch of the new Eat.fit outlet, Ankit Nagori, co-founder, Cure.fit, said, “We are excited to launch a new format for Eat.fit, which has witnessed phenomenal response over the past year. Eat.fit stands out from the rest, as it is a crucial part of the larger movement toward holistic healthcare that we are driving at Cure.fit. While the food delivery model has worked very well for us, we wanted to launch an outlet to bring in more customers who can experience the delight of enjoying a meal guilt-free, and that can encourage them further in their fitness journey”.